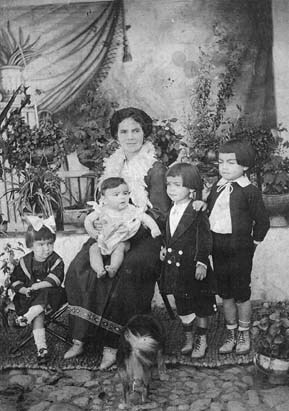 19____ A garden scene in Bogotá with Grandmother Carmelita holding baby Hector. Beribboned Mercedes; Pedro, showing a bit of white under his trousers, and big brother Paco complete this formal family picture. In the years to come, another girl and 3 more boys were born. 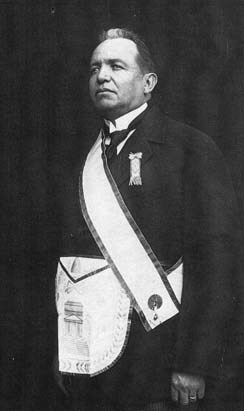 19____Grandfather Juan looking distinguished in his official Order of Masons attire. He was strict with his children, but at the same time, instilled in them a sense of purpose and caring for those less fortunate. He remembered his grandchildren with a special love, and wrote them beautiful letters. 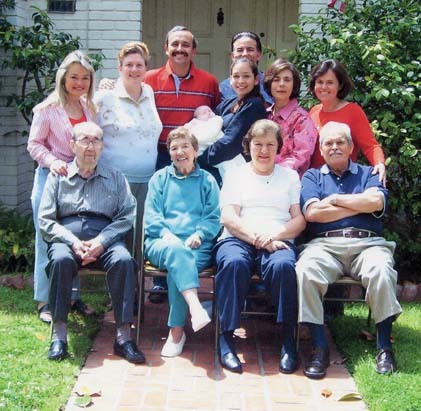 It was a big treat for the grandchildren to visit their grandparents at home on Calle 45 in Chapinero, a suburb of Bogotá. 19____Carmelita fashionably dressed for lunch or high tea in Bogotá. One of her favorite pastimes, Toruro, a card game, was de rigueur whenever the grandchildren came in the afternoons, or after dinner with the aunts, uncles. The evenings were always full of laughter. There are also some great memories of the festivities around Christmastime. 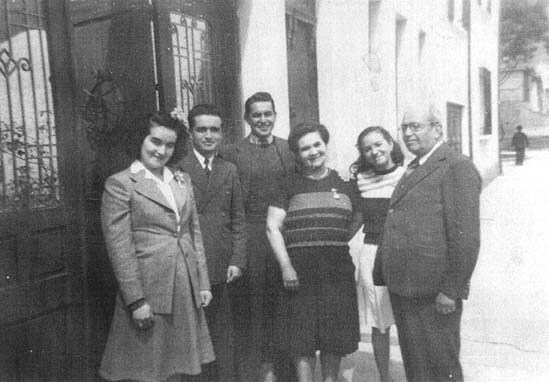 19___Mercedes , Hector, Armando, Carmelita, Leticia (Letty), and Juan in front of the family home at Calle 45 in Chapinero, a suburb of Bogotá. 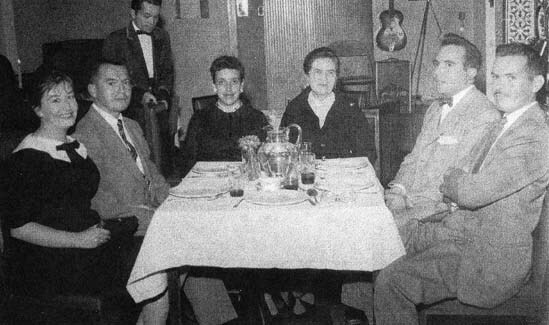 19___Dining in style are L-R, Elisa, married to, and sitting next to Armando, youngest uncle, Beatriz, Alvaro's first wife, Carmelita, Jaime, who loved bowties, and is next to the youngest in the family; and rounding out the handsome group is Uncle Alvaro. 19___Carmelita was an avid walker and logged many miles. She loved to shop, visit parks and travel. 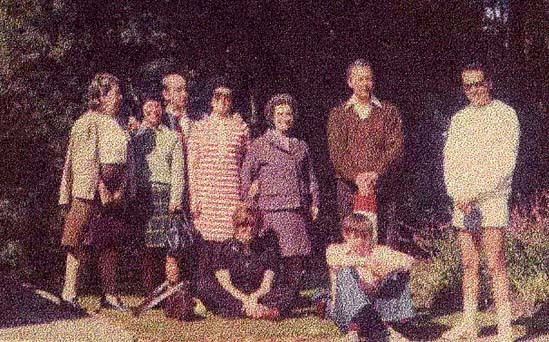 Joining her L-R are Mrs. Schwarzwald, Erich's mother, Letty in her plaid skirt, Erich, Letty's husband, Mercedes, Carmelita, Hernando Gonzalez, married to Mercedes, and Armando in shorts. 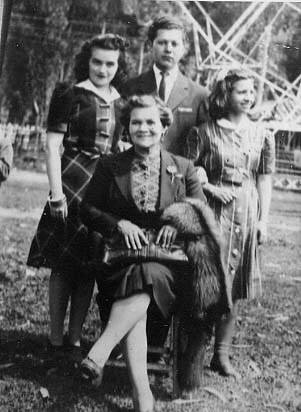 Elisa sits in front with oldest son, Armando Andres. 19___Fox stoles were in fashion at the time. Carmelita accompanies her two daughters, Mercedes and Letty. She looks quite happy to chaperone Hernando, Mercedes' date, probably while attending a fair in Bogotá. 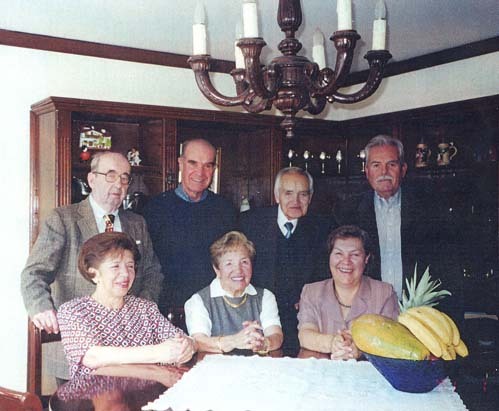 19___The men in this smiling group are L-R Erich Schwarzwald, Yvonne's brother, Carlos, Hector and Alvaro. Celina, Hector's second wife, Letty, and Yvonne, Alvaro's second wife, all look wonderful. For Letty, visiting the homeland, is always a super treat!